Without the Nile River, the Egyptian civilization and pyramids might not exist. The Nile not only supported the people of Egypt, it helped them thrive. Archaeologists, geologists and Egyptologists hypothesize that people began living along the shores of the Nile about 6000 B.C., but it would be years before they developed agriculture along its banks. Along the river’s edge, fruit trees flourished, and fish were plentiful in the river compared with the barrenness of the open desert. The Nile gave Egypt food and later shaped its religion. The Nile River splits into many branches where it flows into the Mediterranean Sea. Researchers theorize that when Herodotus, the world’s first historian, glimpsed this area during his visit to Persia-occupied Egypt. He named it after the fourth letter in the Greek alphabet, Δ, because its shape was like a triangle. After he named that lush river valley a delta area, all rivers that flow to the sea received that definitive name. 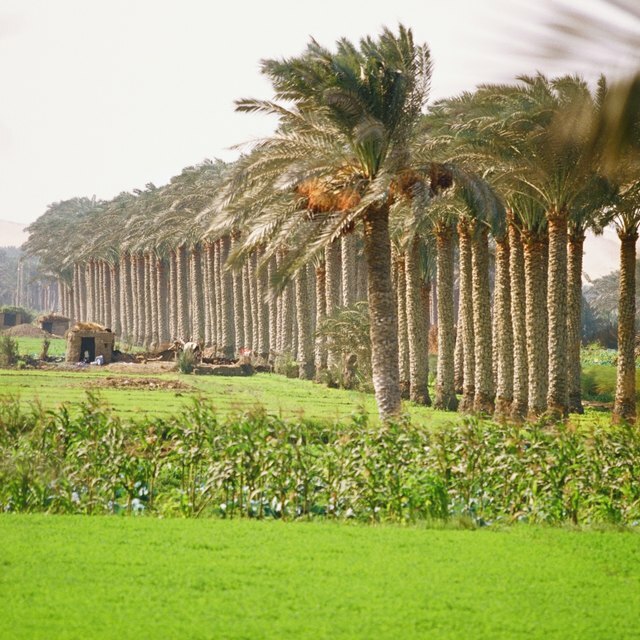 The Nile River’s rich and fertile delta area allowed the Egyptians to raise livestock, plant seeds, grow crops and develop their distinctive culture. As the ancient Egyptians lived along the banks of the Nile, they noticed that it flooded six months out of the year at about the same time. After flooding, the river receded, and the Egyptians observed a layer of rich dark brown, almost black, sediment and silt suitable for growing plants, which gave them the idea to plant the area with crops. Farmers dug short irrigation canals to the river, which fed their crops with water. They would plant crops when the flooding stopped. This allowed enough time to grow and harvest the food they needed before the floods came again. Besides giving the Egyptians food, the Nile River inspired a hierarchical structure for the Egyptian culture with gods at the top. Some years, the floods did not come because the mountains in the south had no snow, impacting the ability to grow food. This caused many to theorize that gods controlled the flooding. Happy gods led to annual flooding and rich crops, so they built a religion to honor them. In about 3150 B.C., Menes, an Egyptian king, united the upper and lower parts of Egypt. He became the country's first pharaoh, beginning a reign of 3,000 years, and began storing grains in structures that slaves and farmers built for the years the floods did not come. It was not long before the people of Egypt revered him as a god, which led to the creation of their social structure and religion. Organized like a pyramid, Egyptians placed their gods at the capstone, followed by government leaders, then soldiers, scribes, merchants, and artisans with farmers and slaves at the bottom. Egyptians believed that when the Nile River failed to flood, it was because the gods were not pleased, so they developed ways to honor them to ensure a fruitful season. They believed the gods made the Nile River flood when they were happy and created drought and famine when they were not. They also believed that many of their leaders, pharaohs, were gods in human form, and thus the farmers paid them tax in the form of grains stored in the pharaohs' warehouses. Brenner, Laurie. "Two Examples of How the Nile Shaped Ancient Egypt." Sciencing, https://sciencing.com/two-examples-nile-shaped-ancient-egypt-23045.html. 17 April 2018.